Transworld, one of Pakistan’s leading telecom providers, recently held a blood donation drive in all their offices i.e. Islamabad, Lahore and Karachi on the occasion of “World Blood Donors Day” with full zeal and dedication as part of our CSR activity. Transworld employees generously donated blood to show their support for this noble cause and to celebrate ‘World Blood Donors Day’ which is observed annually across the globe on the 14th of June. 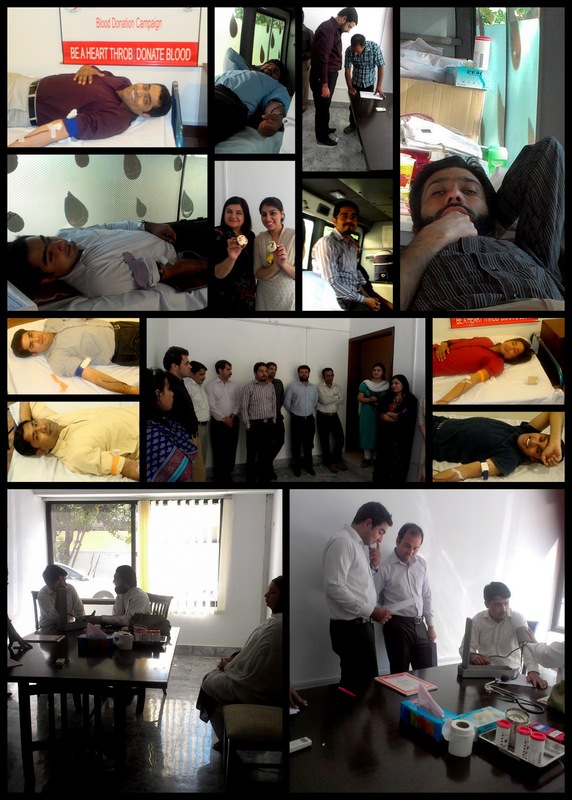 Transworld, as part of its CSR program, partnered with Pakistan Red Crescent Society (PRCS) to raise awareness amongst all Transworld employees regarding the importance of donating blood. Experts from the Pakistan Red Crescent Society (PRCS) also held a session to educate Transworld employees about the need for safe blood and blood products and to thank voluntary unpaid blood donors for their life-saving gifts of blood. The session was aimed to highlight the fact that transfusion of blood and blood products helps save millions of lives every year. It can help patients suffering from life-threatening conditions live longer and with higher quality of life, and supports complex medical and surgical procedures.